We think of Formula 1 as being a pinnacle in race car design, that the winningest McLarens and Red Bulls are high points in tech. But those are the cars that come first. What about all the bad F1 cars? Luckily for us, multi-champion Jackie Stewart reviewed one. This is the turbo Honda-powered Lotus 100T of 1988. It did not win the championship. It was not beloved by its drivers. 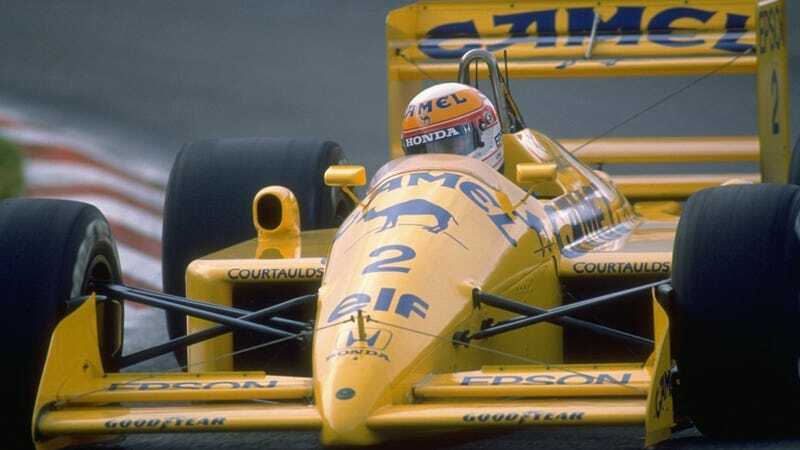 It was certainly a car offering a level of performance that normal humans like us could only dream of experiencing, but for the F1 field it was a disappointment. Jackie explained on that the rear of the car always felt nervous, and that the chassis itself felt like it flexed. You can watch as the car skitters around the bumpy track he’s on. One of the joys of looking at F1 cars is how they package so much car into so little space, but Jackie noted that the Lotus had screwed this all up. The wheel was too close to the instruments, so much so that his hand got caught against the master cutoff and the steering wheel, causing the car to shut off mid-corner. Worse than that, Jackie felt the driving position was not only uncomfortable but unsafe, with cowling coming right up towards the driver’s head. It seems an unnecessary compromise for a car that didn’t perform.